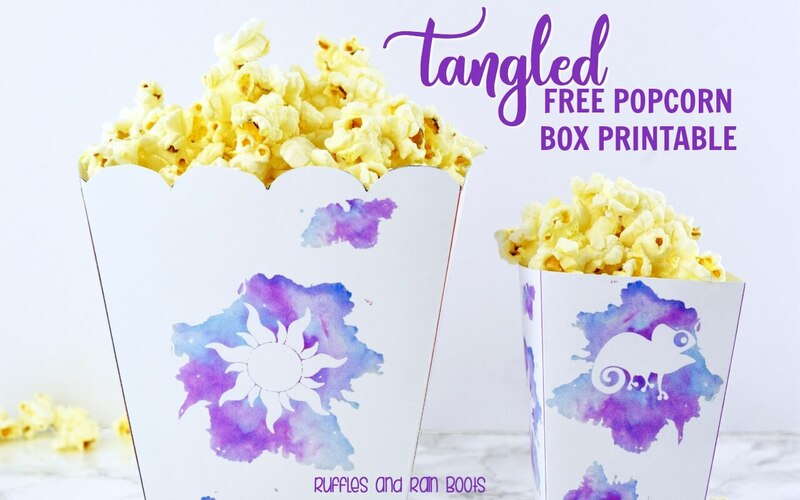 This Tangled popcorn box printable was inspired by our recent Tangled movie night fun. Because of the easy design, even the little ones can help with these free popcorn box printables! A sweet treat for the movie, this popcorn took less than 5 minutes to make, start-to-finish. It was enjoyed by all and was just the right amount of sugar. 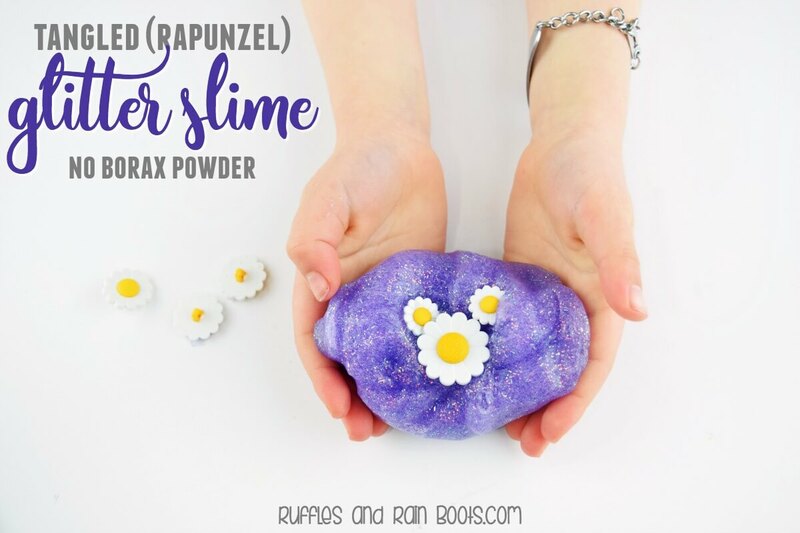 The winner of the night’s fun, this simple, 3-ingredient glitter slime uses no Borax powder. 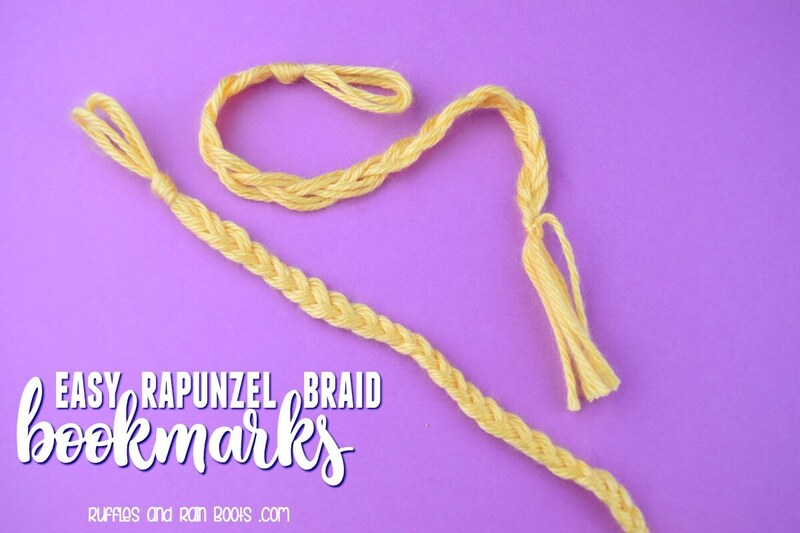 Great for little hands and a bit of fine-motor fun, these Rapunzel braid bookmarks were simple to set up (2 supplies) and are great for early readers. Inspired by the gorgeous painting and light-hearted colors, I made this free popcorn box printable at the request of a reader. Because we’re serving popcorn for little ones, I’ve included a small popcorn box for the sweet popcorn. I’ve also included the large popcorn box in case you need it. Using white cardstock, print the mini Tangled popcorn box printable on a single-page or 2 copies of the large box. Cut out the design along the outside edges and follow the folding instructions. I’ve stated “glue here” on a couple of tabs which require it, but I’m not going to lie – I use double-sided tape because I am an impatient crafter. I really like popcorn and want to spend my time eating it, Y’all, not putting together stuff to eat it. 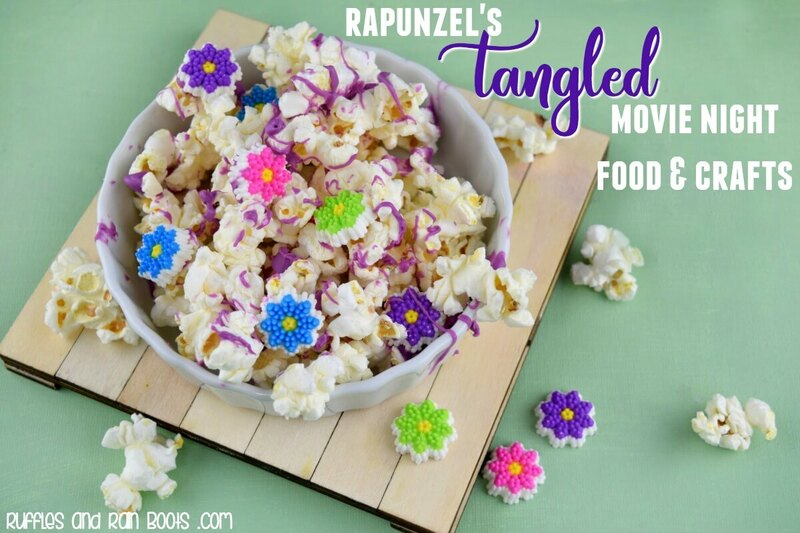 I hope you have a great time using these Tangled popcorn boxes for your Tangled movie night or party. Be sure to check out our other crafts to round out the fun.